Hello everybody i'm Brian from Monrovia in beautiful Southern California. 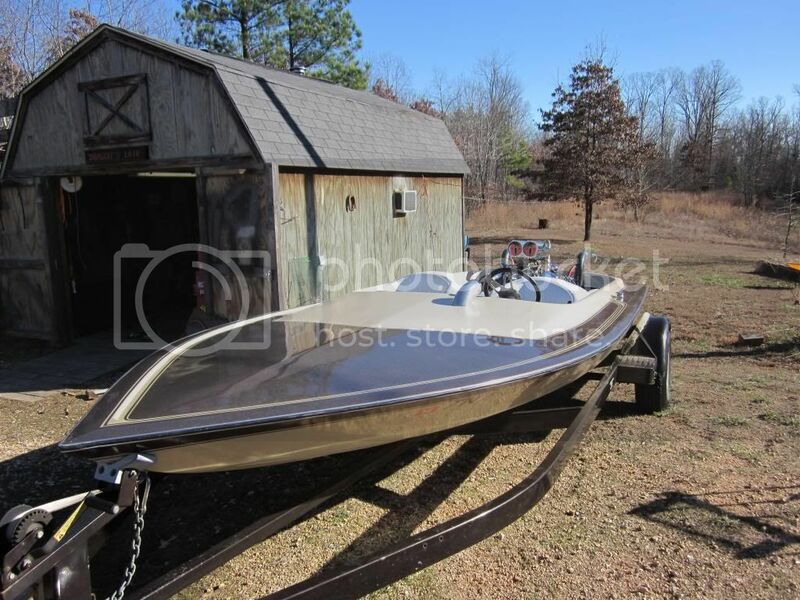 Not captain of anything yet other than my garage at the moment, i've asked a few questions in some of the forums here getting an idea of what type of boat to look into buying. Greetings from frozen TN, My boat is a 1979 Southwind 18 with a 545 chevy and a berk drive. Welcome to all of you , PB is a Great Place to hang out , nice folks and lots of good information here ! Not a newbie but my name is tom ethridge.i live in southern oklahoma and love it.ive been into jets since my dad bought one when i was a kid.i built several jets over the yrs and i currently own a mantra 16ft tunnel with a smallblock ls turbo motor thats pretty mean for what it is.i work for john deere as a mastertech and im also a gm mastertech.i hope you guys enjoy the site and the great info and people it has to offer!!! This place is a wealth of knowledge, full of passionate boaters, along with having some of the best minds in the industry posting knowledge guys like me absorb like a sponge. dont know much but if you have a gm vehicle or john deere equipment and need help im glad to help as much as i can.again enjoy the site and boat safe!! Good morning!I am Mike Clanton in Ohio and I have an A/W roots,carb car[don't hate me! ]I started racing it this way for about 10 yrs in my area in my 1969 Plymouth Sport Satellite [the boat part]weighing in at 3900# with me in it.I am only putting out about 900hp on sunoco 110 from a 446" Chrysler wedge engine and I am just tuning my way up to about 1100hp with 2x 1250 holley carbs.I am mostly a race junkey watching dragboats but love the tech that goes into it all.The intercooler unit I have is a Blowershop as well as the blower.Thank you for letting me come here. Here is my engine that I build/tune myself. Hello everyone my name is Phillip Hice and unfortunately I can not Captain any waters yet because I need a Fuel injected 350 vortec intake manifold. Any help here? Hello, performance boaters. I'm from the great state of Washington. I currently own a 94 20' Barefoot Sangar with 200hp oil injected BM. Looking for a pickle fork or semi vee with big engine! I'm in the need for speed ! Last edited by hydrounlimiteds; 03-02-2014 at 02:14 PM. Hello all. My name is Tony. I've loved the drag and circle races for many years ( form the early 60s in Oakland ) . I'm a Viet Nam Vet and crewed the F-4 Phantom and F-105 Thunderchief for 6 years in the USAF. Now I'm crewing a F-4 in our local Air Museum but still love the flat bottoms hot boats. I am trying to build an RC Scale K-boat with V-drive and nitro engine. Hello my name is Jeff. Spent the 1st half of my life drag racing plan on spending the last half boating . Am I ever going to be old when I punch out .